Complete our simple form , send us an email or give us a call to tell us main points of your wedding celebration. During this call we will introduce ourselves, discuss more details of your wedding, vision, likes & dislikes, preferables, answer all your questions as well as put questions to you to get a more clear and vivid picture of your Big Day. You will get the access to our private Library of Venues all over the world with all necessary detailed information to choose your perfect destination and/or venue. Moreover, a list of destination and/or venues (maximum 5) will be highlighted for you to have a look at the first place, based on your requirements which we will get from our first communication – skype call or meeting. At the same time you will have access to the whole Library and you will be able to check as many destinations and/or venues as you like. We will be happy to create whatsapp group and/or Pinterest board specially for you to start creating your wedding style & decor, theme & design, ideas. We will prepare and share with you the proposal/budget, based on the selected destination and/or venue (if applicable), wedding style, theme & decor, wedding pro services (photography, videography, floral design, makeup & hair stylists etc). Start the journey full of experience and joy with Lana Wedding Planner! A destination wedding is an opportunity for couples to celebrate their marriage at a gorgeous destination of their choosing away from home. Our couples get married all over the world, in stunning locales like the Dubai, Maldives, Italy and Ireland. Destination weddings can be intimate (just the two of you), limited to close family and friends, or a grand affair with hundreds of guests. Get inspired by some of our beautiful real wedding couples’ celebrations! Nowadays, many couples opt to forgo traditional weddings in favor of a more intimate gathering at a destination they love. Destination weddings allow couples to extend their celebration from four hours to four days (or however long you see fit), while creating a lifetime of memories with their close friends and family. Because they are often more intimate than traditional weddings, destination weddings can also be more affordable for couples. How do I ensure my guests can afford to attend our destination wedding? 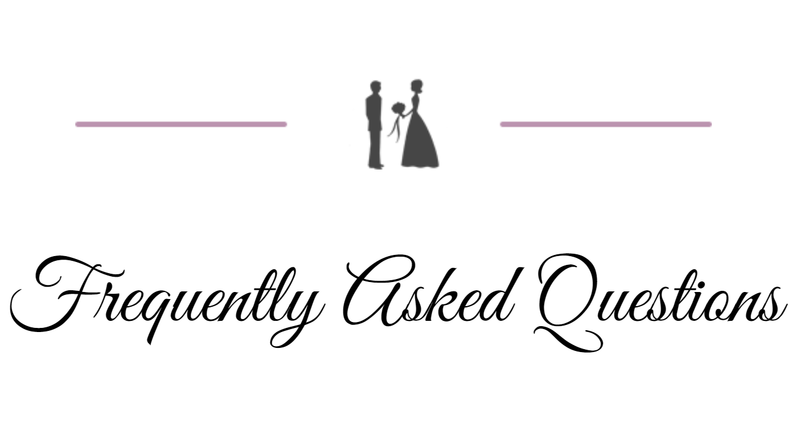 How far in advance should I be planning my destination wedding? While 9-15 months is an ideal amount of time for securing the best travel rates, we have worked with couples that have planned gorgeous weddings with only a few months (or days!) to spare. If you do have time to plan further in advance, we always advise couples to start the process sooner rather than later, particularly with large groups. What are the legal requirements when getting married out of the country? Every country has different legal requirements for weddings. Most require some form of ID (like your passports and birth certificates) and a marriage license application. Our Certified Destination Wedding Specialists are happy to help you work through the legalities, as they have extensive knowledge of the requirements at your destination of choice. Traveling with a destination wedding dress can seem tricky, and perhaps even a bit stressful. But it doesn’t have to be! To ensure your gown makes it to your destination safely, we recommend either having it with you in your carry-on, or better yet, taking your dress on board the airplane in a garment bag. Most airlines will accommodate wedding couples by allowing them to hang their day-of attire in the closet for you. It’s always a good idea to call ahead and see what their policies are, to make sure you have all your ducks in a row. Then, simply sit back and enjoy the ride to paradise!